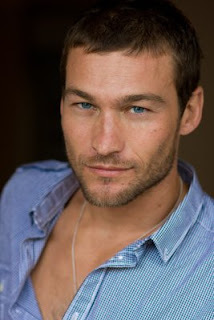 Sad news as we learned that Andy Whitfield from Spartacus: Blood and Sand passed away today. I know that not everyone appreciated Spartacus, but Andy did a great job and became synonymous with the role. I just hope that Andy's untimely passing does not negatively affect Spartacus: Vengeance. A lot of fans were not happy that Whitfield was replaced by Liam McIntyre, but I was willing to give him a shot. Now, that Andy's no longer with us, I wouldn't be surprised if some give up on the show altogether. While I cannot speak for Andy, he was supportive of Liam and of the show continuing without him. I'm sure he'd want the fans to stick by the show that made him famous.